When Julia Switzky first arrived at Cal Poly, she was unsure of the direction her career would take. However, that all changed when she discovered the Cal Poly Accounting Club. After getting her undergraduate degree in economics with an accounting concentration, Switzky went on to obtain her Master of Science in Accounting in the Orfalea College of Business graduate program. Graduating from the program this spring, Switzky will be working for PricewaterhouseCoopers full-time in Los Angeles. When searching for what path she should take in her college career, Switzky began attending the Cal Poly Accounting club meetings during her sophomore year. When she discovered that the club, its materials and people riveted her, Switzky then went to every meeting. During this time, she attended the club’s community service and social events and gained personal relationships with the executive board members. After discovering her drive for accounting, Switzky applied for the club’s Executive Board and held the position of Director of Publicity during the 2015-2016 year. While working with the rest of the Executive Board, as well as the board’s advisor, Sheri Boscaro, Switzky learned how to debate ideas, turn her skills into strengths, and make hard decisions for the club’s future. Switzky saw a vision for the Cal Poly Accounting Club. While in her position, Switzky worked tirelessly to rebrand and promote the club by leading all outreach and communications with students through social media, emails, posters and digital signage. Through Switzky’s efforts, the club saw a significant increase in its presence on campus and events and also doubled club membership. During the summer of her undergraduate junior year, Switzky interned for PricewaterhouseCoopers, one of the Big Four auditors and the second largest professional services firm in the world. During her three-month internship, Switzky worked with entertainment, media, communications and technology clients and enjoyed networking with as many people as possible. When her undergraduate education was near complete, Switzky knew she wanted to continue her education. She then applied to the Orfalea College of Business Master of Science in Accounting program and was accepted. Throughout her one-year intensive masters program, Switzky has gained insight into the larger environment in which accounting operates and has built essential experiences in critical thinking, effective writing, presenting, and other technical skills. She also tutored Intermediate Accounting I and II classes for the college in order to help students reach their full potential. 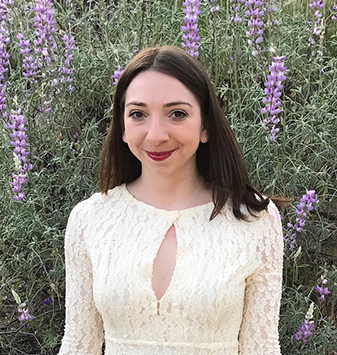 While her time at Cal Poly may be coming to an end, Switzky will continue her passion for accounting by working full-time for PwC as an Assurance Associate. Her impact on the Cal Poly Accounting Club will live on and soon she will show the accounting world what she has to offer.